Under QuickBooks Online Support, we offer SMEs the solution to their business accounting worries over the cloud. It is the much-praised cloud version of QuickBooks where you do not need to actually install the software and you can manage your business books over the web. Software provides a convenient interface, without any requirement for downloads. Simply pay the monthly subscription, and you can log on to the software using any web browser by putting in your login credentials. Intuit, as a matter of fact, installs automatic updates to its cloud-based accounting platform on a regular basis to keep it protected from malware attacks, and to better the functioning of its cloud accounting portal. We respect your need to save time, and no one recognizes better than us that your data and resources are invaluable. Our team of technical staff keeps this in mind with each call you make or email you write, and makes it the driving force behind their sterling quality. We at accountantsquad.com will make you feel right at home, as you can sit back and watch while your problem simply vanishes. Availability of advanced tools, when needed. Major accounting tasks can be finished in quick times. Receive payment notifications & easy invoice setup. Payment via Free ACH Bank Transfers. More than 70% of transactions are categorised. Record expenses, bills & purchases. Track Profit & Loss & run expense reports. Match up with earlier recorded transactions. Easy categorization of deposits & expenses. QuickBooks Online is a software that includes a feature rich user interface that been made especially easy for you. The Online Version will provide you with the necessary tools to finish your business functions, as well as handle most of your accounting procedures in a snap. 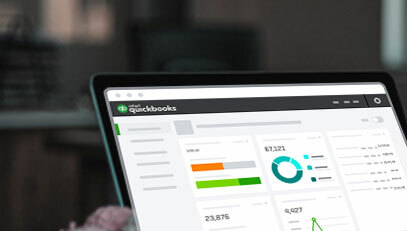 QuickBooks ProAdvisors & Intuit Certified Accounting Professionals at Accountant Squad are perfectly capable of troubleshooting all the above-mentioned QB Online Issues within minutes. QuickBooks Online Support Team are well equipped with all the requisite knowledge of fixing any QuickBooks related issue, no matter how complicated it may sound. © 2018 Accountant Squad. All Rights Reserved.